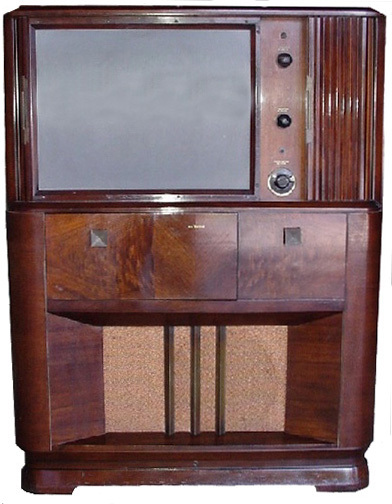 The RCA 648PTK was announced on August 27, 1947,production was 992 units in 1947 and 2500 units in 1948, the selling price was $1,206.05. 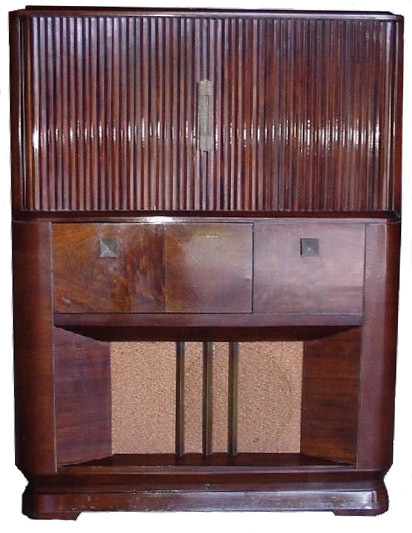 Tambour doors hide the projection screen when not in use, a feature found in many high end sets of this era. 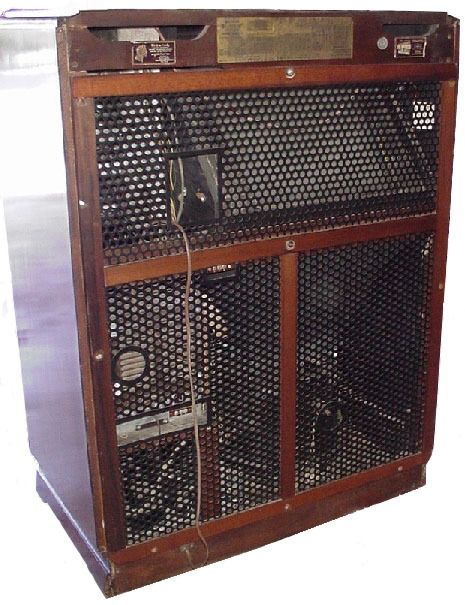 A 3 band radio is housed in the left side pull down door under the screen. The projection system is the same PTU-1 unit used in all of the RCA projection sets. Rear view showing the full wooden framed back, reminiscent of some pre-war sets.